Yesterday, it was reported that popular music star Davido and his team were allegedly robbed at gun-point in South Africa. Immediately after the robbery, Davido took to twitter to ‘Thank God’ for his life. ‘My daughters face was flashing through my eyes the whole time. Dem niggas got me for 55 thousand dollars cash !! 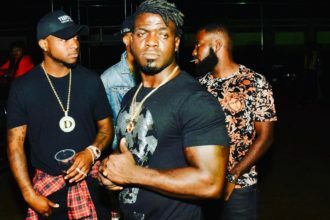 Crazy’ His manager Kamal Ajiboye who was with him at the time of the robbery narrated the ordeal exclusively to THENETNG: ‘We had just arrived in SA yesterday evening, so we stopped for traffic light, next thing, they crossed us and two of them came out with guns and they used their guns to smash our glass’…. Kamal continued to say, ‘the robbery happened at Greyston Shopping center, Moloko Hotel Junction. They took my bag pack, i had $45,000 David had $60,000. we were also with the CEO of Mcomm Solution Chidi Okeke who also had $80,000 on him. They took his passport, his Rolex, my Rolex sky dweller. You know, we travel all the time with different currencies, so taking our bags is the least we expected’. He further tells NET that they are all traumatized. In his words, ‘I’m in pain, I’m still shocked, they hit my leg with the guns, we just thank God for our lives that we are all ok for now’. It’s not the first time Nigerian artistes are being robbed in South Africa. In July, Okeke and others, including a popular producer were robbed at gun point while using automated cash points. But it’s the first time a high caliber artiste is crying out. Sources say the Police are already involved. They further told NET they’re now heading out of the country to Atlanta to cool off and recuperate. Davido was billed to perform at ‘African Music Concert’ in South Africa on November 21, 2015. He may now not be available for this engagement as a result of his near death experience in that country. He told a NET correspondent he’s traumatized now and wants to leave SA. According to his manager, ‘he’ll head to Atlanta tomorrow once done with Police statements today’. Asked if Davido will be back in SA for the concert, he said, ‘I really don’t know for now, he needs to get to Atlanta first before we talk about that’. 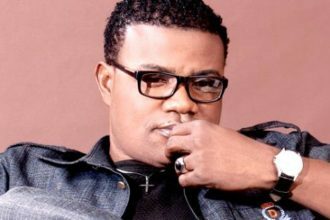 FELIX DUKE RATES WIZKID’S MUSIC BETTER THAN DAVIDO’S.